If you are reading this article you are already well aware of the ill effects of sugar on human health. What you may not know is how much sugar you are consuming every day. Most of us, sugar addicts, cannot put their finger on a number but we know that we eat more than we should. But how much sugar should we eat exactly? According to the American Heart Association (AHA), the average American consumes 22.2 teaspoons of sugar per day. One teaspoon equals to 4.2 grams of sugar. In other words we consume about 93 grams of sugar every day. This is counting just the added sugar, not the sugars naturally occurring in fruits and vegetables. And how much sugar are we supposed to eat? AHA recommends to cut the daily sugar consumption to 9 teaspoons (about 38 grams) for men and 6 teaspoons (about 25 grams) for women. To reduce the sugar consumption AHA gives a few tips, such as removing sugar in every form from the table or reducing the amount of sugar added to cereal, tea, and coffee. We all know in theory what we should do but unless there are simple instructions to follow, we tend to fail at implementing the theory. Not so long ago our family decided to decrease our sugar consumption and successfully managed to do so with the following. Then we memorized the amount of sugar in one measuring teaspoon. After that we began checking the sugar content on various items in the grocery store and promptly returning to the shelf those that seemed studded with sugar. It is easy to see if a product contains too much sugar because the sugar content is listed in grams. You can imagine that seeing 26 grams in the serving size of 3 tiny cookies makes for an easy decision against buying those cookies. When you are on a mission to reduce the sugar, 9 grams per 3 cookies sounds much better. It may seem strange that we want to reduce our sugar consumption but are still buying sweets. The thing is that no sugar addict can go without added sugar for very long. So instead of trying to do the impossible we try to reduce the harm. Not many desserts have amounts of sugar that we would like but we picked those that are the least sugary. Below is a list of desserts with relatively small amount of sugar. All of them are available on Amazon if you can’t find them locally. We have to buy the Endangered Species chocolate online because our store can’t replenish it fast enough. The bunny cookies are really small (about 1″) and taste plenty sugary but you can eat a handful without guilt. The added bonus is that they are made with organic whole wheat and contain only basic ingredients. In our opinion they could use even less sugar and still be palatable. 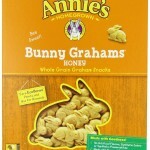 The sugar content for the other Annie’s grahams is different, with the Honey ones being the least sweetened. This is bittersweet chocolate that may not taste sweet initially. As you get used to it the other chocolates will begin to taste way too sweet. The chocolate feels creamy and is the least sweetened chocolate on the market. It is made with natural ingredients. According to the manufacturer 10% of the profits are donated to help support species, habitat, and humanity. 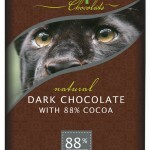 Be careful: Only the 88% cocoa chocolate has 10 grams of sugar. All other Endangered Species bars have significantly more sugar. These cookies have a layer of chocolate and can use less sugar but compared to so many other sweets we consider them acceptable. They are made in France from only basic ingredients. 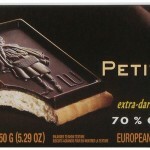 The cookies with 70% cocoa are the least sweetened LU chocolate covered biscuits. 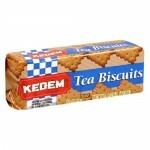 Kedem’s cookies are very basic and do not taste very sweet. They are made from basic ingredients and contain no preservatives, artificial coloring, or cholesterol. Listed here are the plain cookies, but they also sell vanilla, chocolate, and orange flavored. The sugar content is the same for all the types. 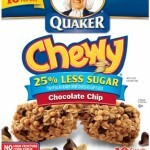 The folks at Quaker are on the right track. Their reduced sugar granola bars are still plenty sweet. If only they would remove the preservatives we would be buying them more often. 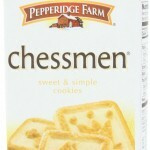 These are the least sugary cookies Pepperidge Farm has to offer. They taste good and could even use less sugar. Maybe one day it will happen. Like so many other people we were also indulging in soda, coffee, and hot chocolate. But once we found out how much sugar these drinks have we decided to do something about it. No more Coke and Starbucks mocha frappuccino for us. As you can see from the table below some popular drinks and foods have unnecessary high sugar content. We ditched the soda and began buying sparkling water. It turned out we were addicted to the carbonation, after all. Other substitutions that you may find more attractive are the various flavored waters. We don’t recommend using artificial sweeteners because many of them are just as bad as the sugar. We also found out that we could enjoy our coffee with a little bit of milk and no sugar at all. We still have a few leftover cans of Coke in the refrigerator because nobody dares to drink them. Nowadays they are useful for showing the sugar amount to guests. Interestingly, once a person gets used to lower amounts of sugar, some high sugar desserts begin to feel very heavy and impossible to eat. And this is a good thing for a sugar addict. The coke is not at all an exception. Pepsi’s Mountain Dew actually has more (46 g of sugar). You should avoid any sweetened beverage because those tend to have huge amounts of sugar. The worse is the bottomless fountain soda with free refills. This bottle is labeled as having 2.5 servings but many of us would just keep drinking from it until it’s gone. Yoplait is not an exception: all sweetened yogurts have excessive amounts of sugar. Next time you see this tiny yogurt container think about the almost 6.5 tsp of sugar in it. You are better off buying your favorite yogurt plain and then adding a little sugar and flavor, such as cocoa, coffee, or fruits. Although Häagen-Dazs tends to have more sugar per serving, this is a result of better packing of the ice cream. Friendly’s Vienna Mocha Chunk ice cream, for example, has 67 grams in the serving of 1/2 cup, with sugar being 16 grams of it. Most brands will give the sugar content per 1/2 cup to be 16 grams. The actual weight of the 1/2 cup depends on whether the ice cream is churned or packed well. If you must have ice cream keep in mind that 1/2 cup is a really small amount and most of us tend to serve at least twice that. The table can go on and on, but we think we made the point. You have to pay attention to the sugar content per serving and to the serving amount in grams. And always remember that 1 teaspoon of sugar weighs 4.2 grams. My hubby and I tried the endangered species chocolate before but i am not sure which type. i don’t remember how it tasted but maybe this is a good thing 🙂 If it was bad i would remember. ANyways, i would be trying the low sugar one next time.